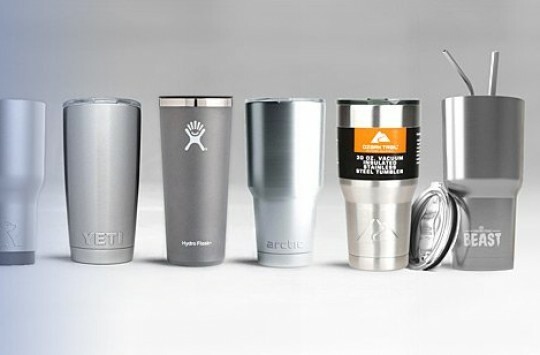 Engel is one of the giants of the industry, being on the same level as guys like Yeti. It also happens to be one of the older brands in the market, having been around for more than 50 years. They have perfected their art in that time, making some of the highest quality rotomolded coolers in the industry with some pretty nifty features; a family which the Engel fridge is a proud member of. The Engel line up is one that we have come to be proud of over the years and we feel honored to be reviewing one of their products again. In the world of coolers, whether we’re talking about electric or regular coolers, build quality matters a great deal. That is why we simply never skip this part of our cooler reviews. With the Engel fridge/freezer, that is exactly where we’re going to begin. The Engel fridge freezer was built for some pretty heavy duty applications, including use in marine environments. In places like that, you typically need your cooler to retain the low temperature for weeks at a time. No regular cooler will do that for you and that’s why an electric cooler is your best bet. But that doesn’t mean you can forget about the build quality. It still has to be good enough to brave the elements out there. There are many cooler brands made of steel. That seems okay at first glance. After all, steel is a very strong material and will take great amounts of shock before it buckles. The problem is steel doesn’t do so well in saline air. When you have a humid environment with plenty of saltwater, your steel is going to get corroded soon enough. As a result, the Engel refrigerator isn’t made of steel. Instead, it’s made of hard ABS plastic, which is not only inert enough to keep the cooler safe in harsh humid air, but also tough enough to resist the harshest of hits and shakes, keeping both your cooler and its contents safe from the world. It also happens to be highly resistant to the kind of vibrations you would encounter in environments like the sea. Wow! There are a lot of great features on this cooler that just make you feel giddy at the sight of it. Let’s start with the fact that the Engel Swing Motor Compressor, which powers the cooler, is one of the most efficient we have ever seen. I can work on as little as 1 ampere per hour, which is at least 40% less than what you would expect from your average compressor. It’s also pretty quiet to boot! The Engel electric cooler also works on DC (for batter power) as well as AC power. The DC side will run on either 12 volts or 24 volts while the AC side will work on either 110 volts or 120 volts. 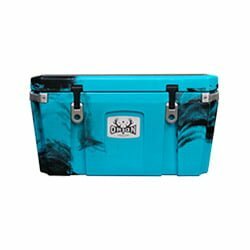 You can use this cooler out at sea, while on the road during an especially long trip, or in the comfort of your home. It’s all about making your life a little easier no matter where you are. 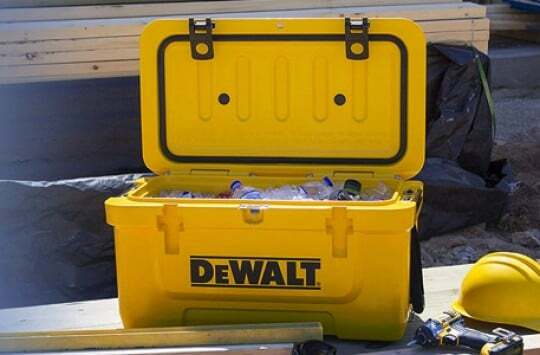 There are plenty of other features we love about this cooler. So many, in fact, that we thought it would make the most sense to represent them in short bullet points. If we decided to dedicate a long paragraph to each, this article might end up much longer than you would have time to read. It’s just that great! 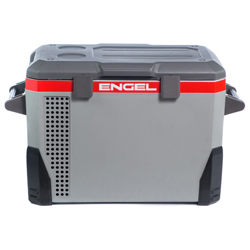 The Engel electric cooler comes with variable temperature control, which means you get fine control of just how cool the contents of the cooler are going to be. You also get to select the voltage automatically, switching from AC to DC is as easy as the press of a button. This cooler also happens to be solar compatible. One of the greatest worries of marine fares is that their boat batteries will run out from too much usage over a long trip. You really don’t have to worry about that with this cooler. To begin with, the motor-compressor is highly efficient, drawing as little current from your battery as it can. Additionally, when the sun is out, you can switch to solar power and let the sun ‘cool’ your drinks, so to speak. The Engel electric cooler is capable of going up to 80 degrees Fahrenheit below the ambient temperature. This is something you don’t often find in lots of electric cooler. Most of them will only be able to go about 60 degrees Fahrenheit below the ambient temperature. With the capabilities of the Engel electric cooler, you can expect your cooler contents to remain cool no matter how hot it is outside. Additionally, with variable temperature control, you can make them a little warmer when you are in especially cold conditions. The cooler comes with an interior wire basket for carrying all those things you want to keep separate from the wet contents of your cooler. The handles, which are very sturdy, by the way, can be removed for easy fitting of the cooler in tight spaces. All you need is a screwdriver to remove the screws. As you can see, the Engel electric cooler is jam-packed with features, allowing you to go out there and brave the outdoors for long periods at a time without having to worry about how to keep your food and drinks cool. Did we also mention that it is UL approved? Well, it is! 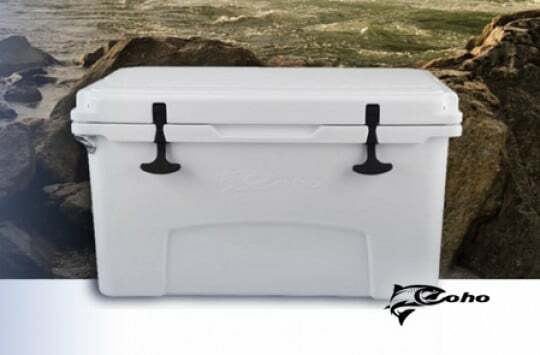 This cooler comes in only one size: the 40-quart cooler. It also comes in only one color scheme, which is a mix of grays and black with a single red strip that has the Engel logo on it. It’s a little typical of electric coolers not to have too much variety in terms of sizes and colors, considering their highly specialized use cases, but we feel the guys at Engel could do a little better on this one. 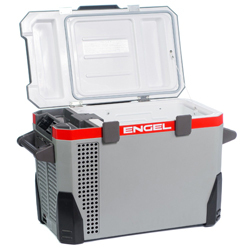 The Engel electric cooler comes with a warranty of 3 years from the manufacturer. There are two main competitors to the Engel electric cooler: the Dometic Cooler CF series and the Koolatron 18 quart Compact Cooler. The Dometic Cooler CF series beats the Engel electric cooler in two main areas. First, it is cheaper than the Engel electric cooler, making it a more affordable option for those with a tight budget. Second, it comes with a greater variety of sizes. 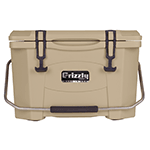 It has 8 different sizes from which you can choose, ranging from the 10.5-liter cooler to the 106-liter cooler. However, when it comes to performance and temperature range, the Engel electric cooler wins outright. 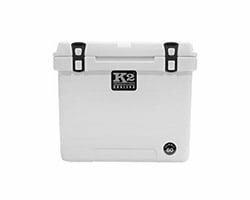 The Koolatron 18 quart Compact Cooler is ideal for those who are looking for an electric cooler with a small capacity that is capable of both cooling and warming food and drinks. 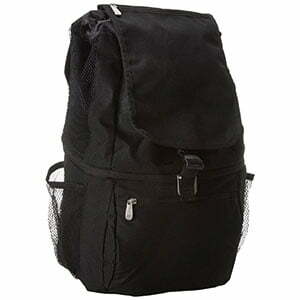 With its 18 quart capacity, it is perfect for small family long distance trips. It is also quite affordable. 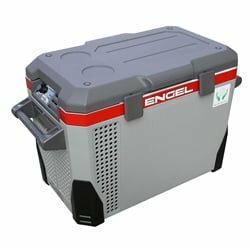 However, if you’re looking for something a little more heavy duty you would do best to get yourself the Engel electric cooler. You can buy this cooler on the Engel website as well as a few other ecommerce websites like eBay and Walmart. The best place to make your purchase, however, in BestCooler’s opinion, is Amazon. If you’re an Amazon Prime member you get great benefits like free shipping and same day shipping. As a regular member, you get Buyer Protection, which means free returns if you don’t like the product. There are also lots of reviews on the different products from other customers just like you – including the first-hand Engel Fridge reviews here. You, therefore, get more information from people who have actually used the product before and have no incentive to mislead you, improving the quality of your purchasing decisions. And with that, we end out ‘Engelic’ review. The Engel fridge freezer is a good product to have in your home, even if you don’t typically use electric coolers. You never know when it could come to your rescue.